Saving the World One Nail at a Time: OPIs Just Spotted the Lizard! Swatch time! Boyfriend was awesome and spoiled me rotten with some polishes I've been dying for. 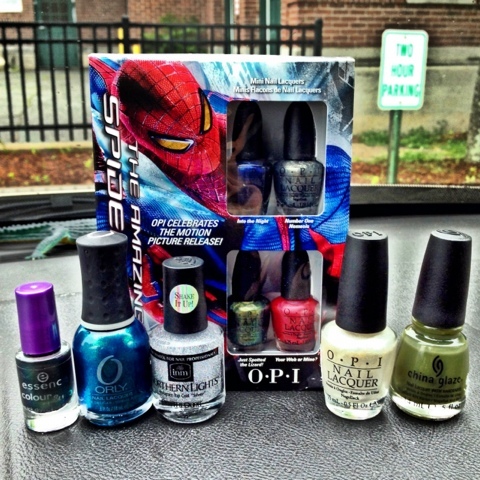 One of which was a mini collection of OPIs Spiderman Collection. He got me a whole pile of fun new polishes though. 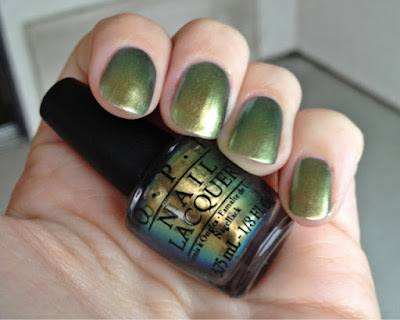 I swatched OPIs Just Spotted the Lizard first! 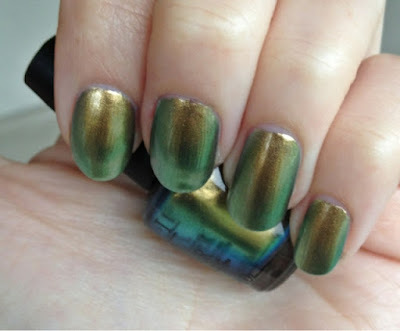 This polish is what we like to call a duochrome. 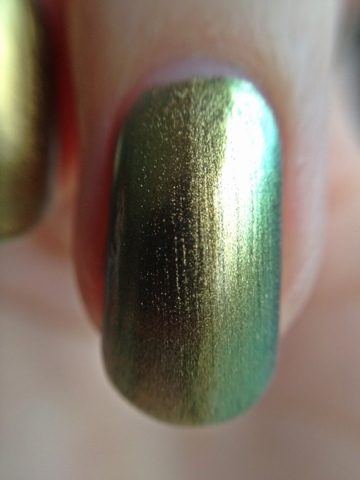 It's got two different shimmery metallic colors in one! 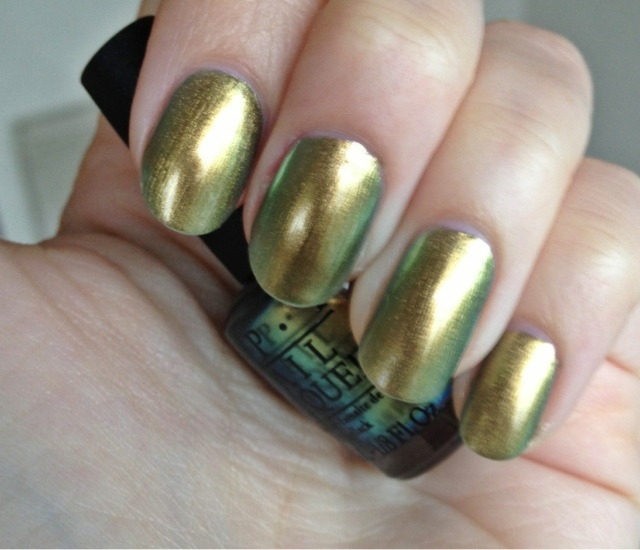 The polish mostly looks gold but in the right angle appears a glossy green. It's like a rainbow of evil, spidery-villain goodness. I love this color and highly suggest it!